Lisabeth Sterling creates the illusion of three-dimensional images on glass vessels. 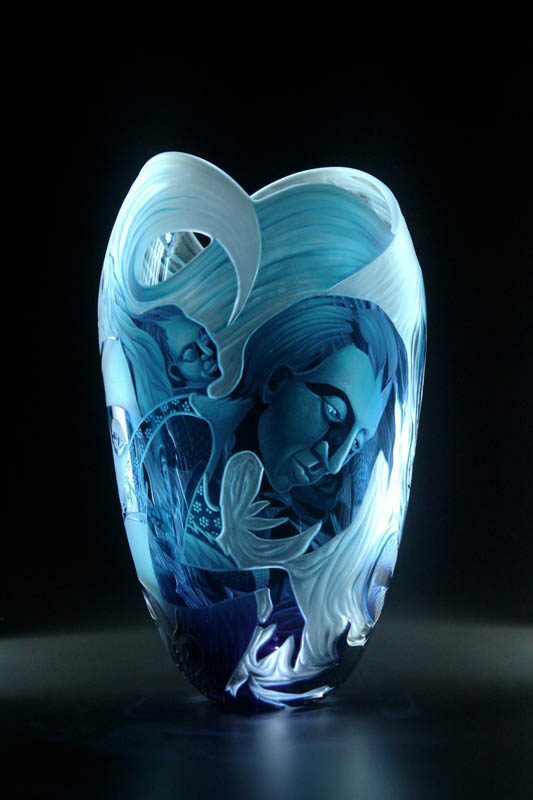 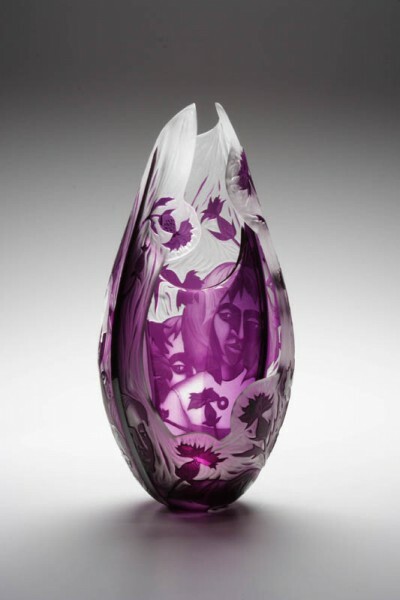 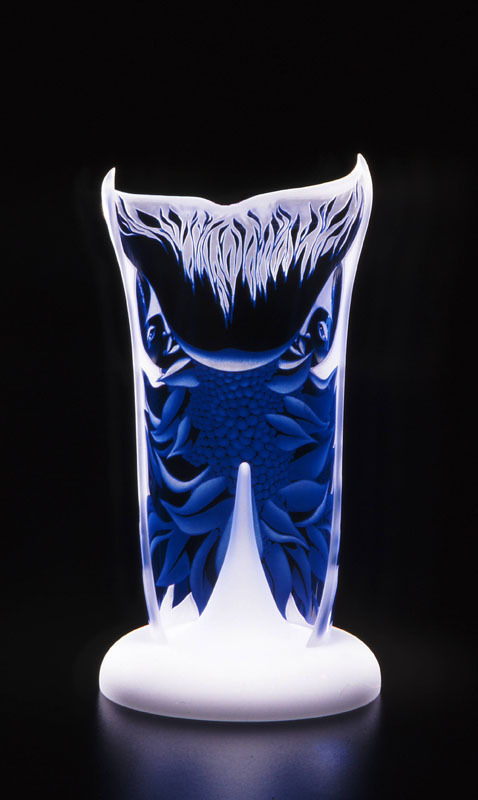 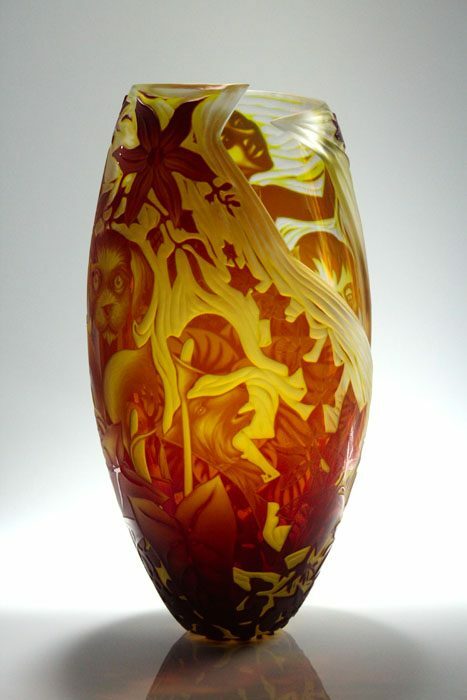 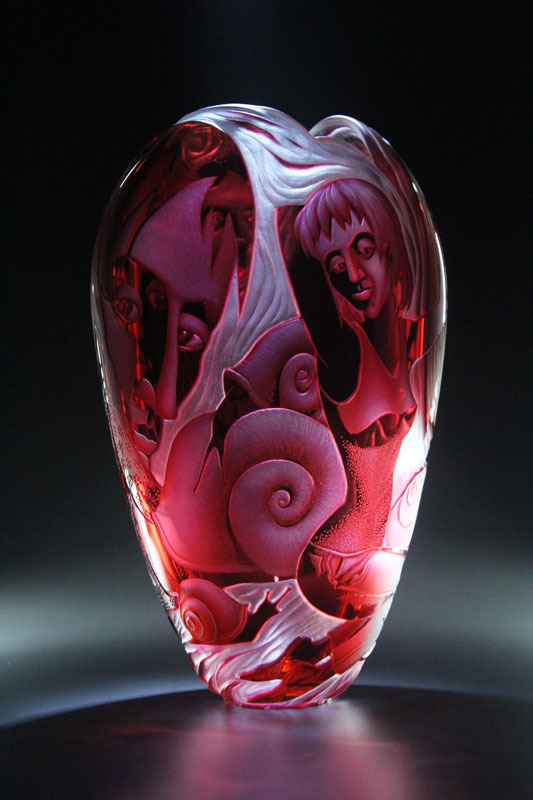 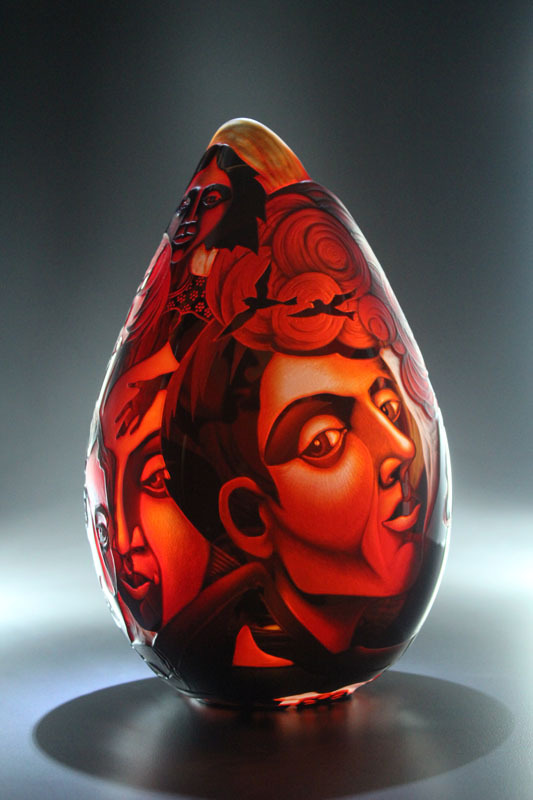 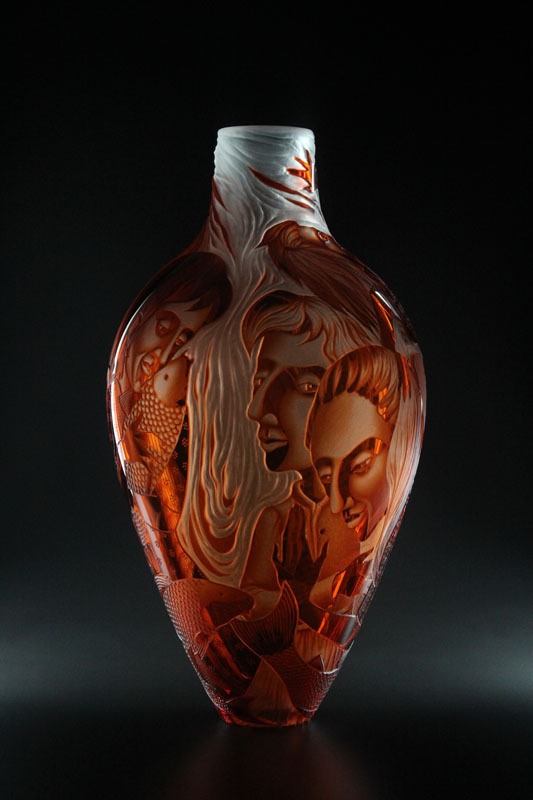 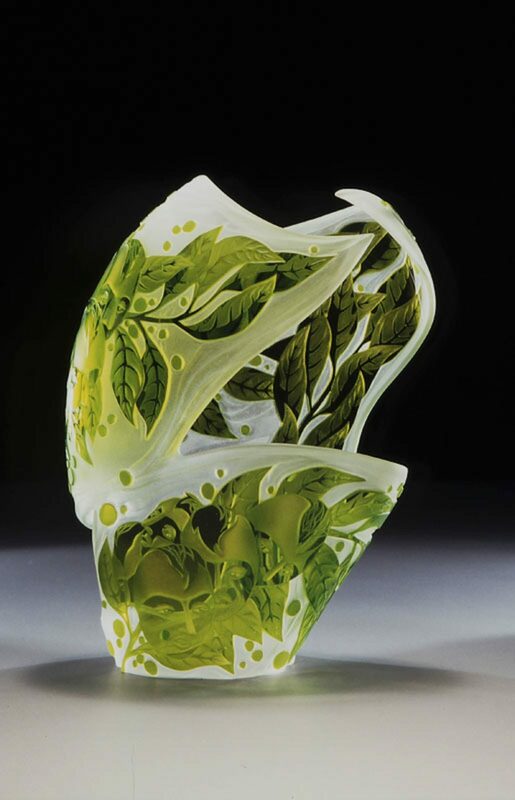 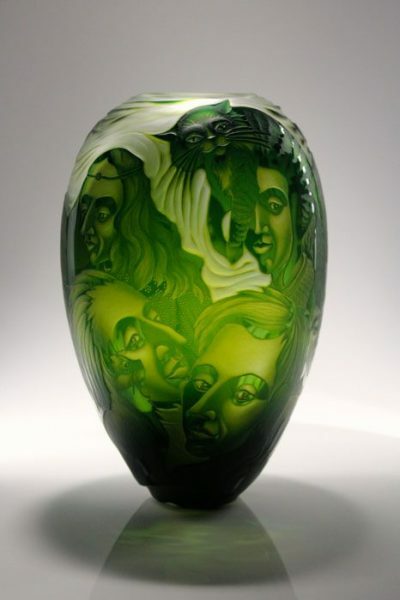 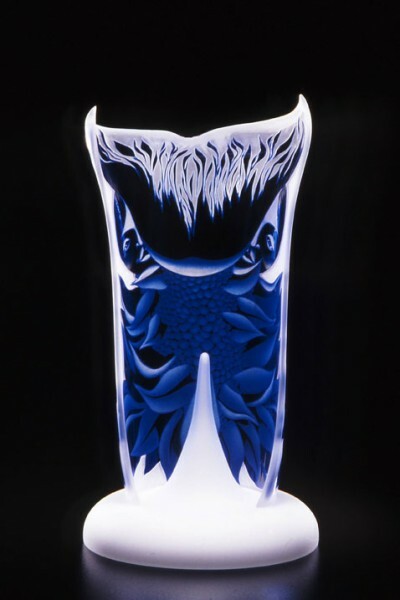 Her technique is to engrave through a layer of colored glass over colorless glass. 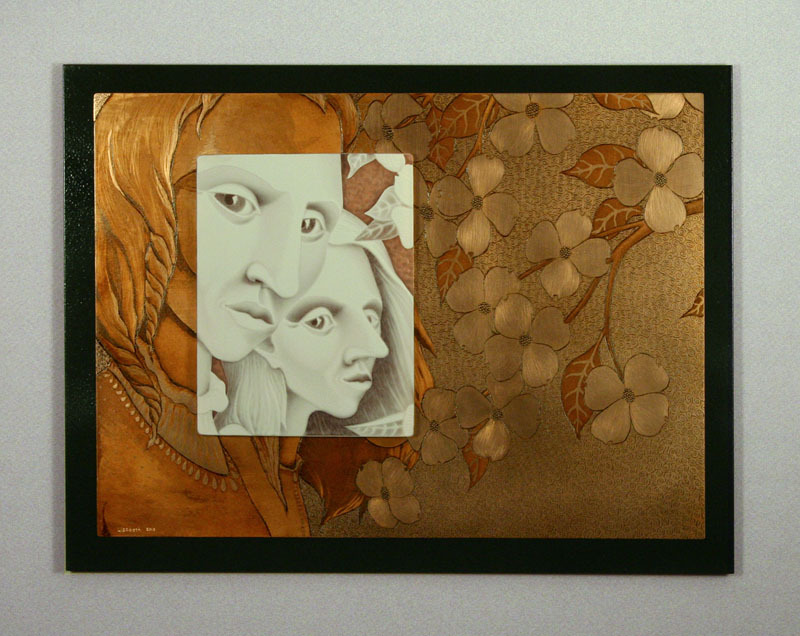 She has completed many commissions, and her work has been shown nationally.